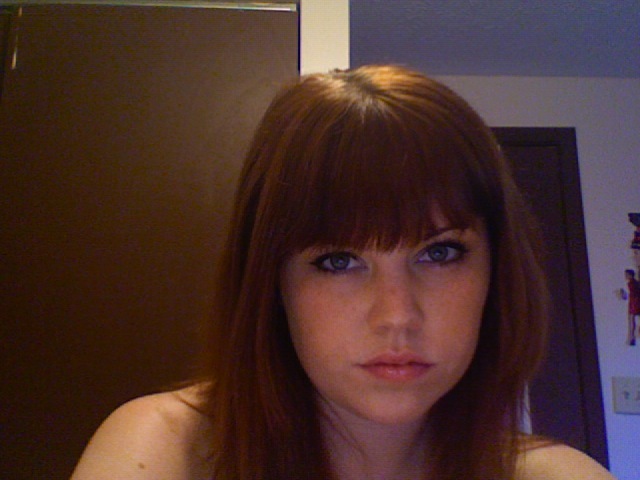 Okay, I blogged a while ago that I was getting bangs and then never updated a picture. Yes, I know, I am an AWFUL BLOGGER. I even lost a follower in the past week, and I chalk this up to the lack of bangs pictures. Please forgive me, I have sinned. So, there they are. I think I’m finally getting used to them…but I really miss my forehead! I think having a forehead makes me look more attractive, but the bangs definitely add an edge that I usually don’t have. They are also forcing me to dress cuter, as I don’t want to appear mousy and little girl-ish. I’m a little old for that. Oh hey, Emma Stone, did we just become best friends? YEP! I watched Zombieland last night with my boyfriend and cousin and was forced to endure comments such as “I feel like I’m watching Zombieland with the girl in Zombieland!” I swear I didn’t do this on purpose, it just happened. I suppose I’ll have to grow them out now in an attempt to be original. Alright, I love the bangs!! You really do look just like her.